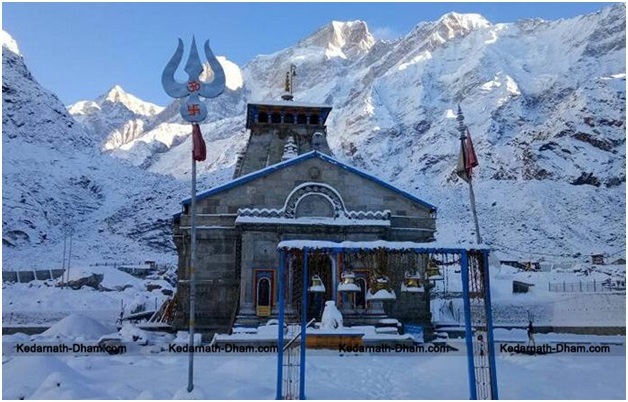 Kedarnath, in actuality, is a small town in the Garhwal Himalayan range in Indian state of Uttarakhand and is a famous for the Kedarnath Temple, that is a visited by Hindu pilgrims to offer their prayers to Lord Shiva. The unicity of the temple is that it is open only for six months of the year. It is difficult to reach the temple as it involves an 18 kilometre uphill walk where ponies are used widely to cover the trek. The upcoming movie of the same name that features Sushant Singh Rajput and introduces Sara Ali Khan is scheduled for a November release in India. It is believed that story revolves around Sushant’s character that helps people reach the Temple through the difficult terrain by carrying pilgrims on his back. The story apparently is based on the 2013 flash floods in North India that had left the area badly affected with extensive damage all across. Since the Kedarnath Temple is one of the twelve Jyotirlingas as per Hindu legends, this movie is going to be extremely close to the heart of all those who hold religious beliefs in great esteem. It also is a movie that is being awaited with much hope by the elderly generation because the cinematography of the movie is surely going to cover the sacred town, the landscape and the temple from all angles. Making things really easy for all such people who are planning to watch this upcoming movie the moment it gets released is modern technology. Enabled by internet, online pre-booking of tickets for this upcoming movie can be done the moment movie halls in the city of your residence open up for advance booking. Use your credit card, debit card or Netbanking to pay for the tickets. Rather than using cash that was the commonly used mode of payment till about some years back when you needed to stand in front of the booking window for hours and hours, using the cards or the bank transfer mode is much safer and faster. In line with the Digital India program of the government, this method of online payment simply requires you to enter the card details or login into your banking account and then authorize the payment. Online booking of movie tickets and payments thereof is facilitated by online retailers that sell the tickets on behalf of the theatres. These retailers’ provider safe and secure network systems enabling their registered users to carry out transactions in absolute privacy that helps protect the sensitive information from being leaked out. Also it is good to note that retailers like Paytm, MobiKwik or PhonePe do not only resell movie tickets, they also facilitate other services like recharging of prepaid mobile connections, paying of postpaid mobile bills, payment of utility bills like electricity, water, gas etc. Some of these retailers are also e-commerce giants offering shopping and other such online activities. Hence, a registered user can not only book movie tickets online using these platforms they can carry out other essential activities too through these sites and Apps. Looking really interesting romantic story after read your post. I guess we will enjoy it. Thanks for sharing this.